Dr.J.Dominic completed his PhD in University of Mysore and having 25 years of experience and presently working as Chief Librarian at Karunya University, Coimbatore. He has published more than 90 papers in conferences and 65 papers in journals and editor for 4 Journals. He has organised national conferences and workshops STTP. He has received “Tamil Nadu Best Librarian Award” from SALIS in the year 2006 and two best paper awards by ILA. He is a resource person for many conferences and workshops and presently guiding PhD students. At present, he is the Chairman of SALIS, Coimbatore Chapter. He got his graduation B.Sc and M.L.I.Sc. from Bishop Heber College, Bharathidasan University, Tiruchirappalli and Ph.D from Bharathidasan University, Tiruchirappalli. He also obtained MCA and M.Phil. in Computer Science from Madurai Kamaraj University. He passed UGC-NET in the year 1994. He has 19 years experience in the field of LIS. Currently he is working as Librarian and placement officer in Sri Ramakrishna Mission Vidyalaya College of Education. He had his initial professional training from Indian Institute of Management (IIM), Bangalore, Regional Engineering College, Tiruchirappalli and also a Software giant IBM, Bangalore. He has also course coordinator and faculty for Diploma in Library and Information Science offered by the SRKV College of Education under the UGC Autonomy Scheme. He also obtained a UGC Grant for his Research project. He co- authored two books and published 30 papers in National and International Conferences. He has the credit of 15 papers in National and International Journals. He is the General Secretary of SALIS. Dr.R.Senthilkumar is working as a college librarian for the past 20 years. He is the Head of the Research Department of Library and Information Science, Kongunadu Arts and Science College, Coimbatore from 2014. He served as Rapporteur, Chairperson, Organising Committee Member in various conferences and Seminars. In his credit, he published more than 35 research papers in journals, conference proceedings etc. He also served as selection committee member for ‘Librarian’ in various Government Aided institutions. He acted as subject expert in the selection committee of Bharathiar University for selecting research scholars and member in various Doctoral committees. He acted as external examiner for research thesis evaluation, viva-voce examinations and PG valuation. At present, he is the Secretary of SALIS Coimbatore Chapter. 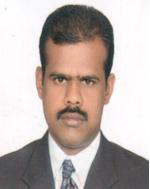 Mr. K. Karunai Raghavan, is currently working as Librarian at National Engineering College, Kovilpatti. He has 13 years professional experience in the field of LIS. He has received financial support from DRDO for SALIS 2011 National Conference (Ref. No. ERIP/ER/11-12/C/101/M/01 dated 09.09.2011). He was also received the “AutoLib Tamil Nadu Best Young Librarian Award” for the Year 2010 from SALIS. He is editor in SALIS 2011 National Conference proceedings and also organizing secretary. He has organized two national level workshops for LIS professionals. He has presented 21 technical papers and attended more than 35 International, National Conferences, workshops and Seminars.. He is an editorial committee member of National and International SALIS Journals. He has Associate Editor of some National and International Conference proceedings of SALIS. His areas of interests are Library Administration, Automation and Information Literacy. Dr.A.M.Venkatachalam is presently working as a Senior Librarian at Chettinad College of Engineering and Technology, Karur. He has 17 Years of experience as College Librarian. He is the recipient of AUTOLIB-Tamil Nadu Best Young Librarian Award for the Year 2009. He has published 8 Technical papers in journals. He has Presented 26 Technical Papers and attended more than 35 Conferences, seminars and Workshops. He has served as the Joint Secretary of SALIS-Coimbatore Chapter and National Treasurer of SALIS for the period of two years. He is one of the Editors of SALIS Journal of Information Management and Technology. At present 5 scholars are doing Ph.D. under his guidance. His area of interest is Resource Sharing and Networking. He is presently working as librarian in SardarVallabhabhai Patel International School of Textiles and Management, Coimbatore.He has finished his Ph.D in LIS at Anna University, Chennai. He hasmore than one and half decades experiencein Academic Library Administration in various reputed institutions in Tamil Nadu. He has published7research articles in national and international journals and has presented more than 25 papers in national and international conferences and seminars. He is an associate editor in 3 research journals. His areas of interest include Application of ICT, Library Automation Library Administrationand Digital Library.He has a life member for SALIS, IALA, ISTE and Bar council of India.